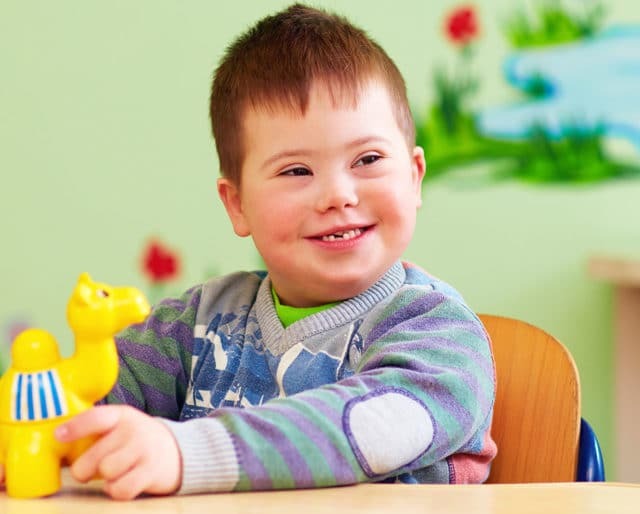 Did you know that Down Syndrome—a disorder that occurs when there is a duplication of the twenty-first chromosome—affects approximately 6,000 babies at birth every year? So on March 21—a date chosen to represent the chromosomal defection found in Down Syndrome (the twenty-first day of the third month)—celebrate World Down Syndrome Day, an event created to raise public awareness, promote inclusivity, encourage advocacy, and support the wellbeing of those living with Down Syndrome. AFRT—the French Association for Research on Trisomy 21—is founded in order to support research for Down Syndrome. This year marks not only the first meeting held by AFRT, but also the year that March 21 is recognized as a symbolic day to represent Down Syndrome. The World Health Organization acknowledges March 21 as World Down Syndrome Day. The United Nations supports WHO’s acknowledgement of March 21 and also recognizes this date as World Down Syndrome Day. This year marks the first year that World Down Syndrome Day is to be celebrated annually on March 21. Show your support by attending an event in honor of World Down Syndrome Day or donating to a charity online. Step it up a notch by promoting your involvement on social media with #WDSD18 to inspire others to take the same initiative. As the designated colors of the cause, blue and/or yellow should be utilized on World Syndrome Day. You can show your support by wearing something blue or yellow, icing cupcakes with blue and yellow frosting for schools, decorating an office with blue and yellow flowers or balloons, or filling bowls with blue and yellow M&Ms—it doesn’t matter how you rock these colors, just be sure you do. Take initiative and organize your own event that will raise money and awareness for Down Syndrome. Planning a walk, holding a bake sale, hosting a raffle or setting up a school fair are all fun events that will benefit those with Down Syndrome. Down Syndrome effects approximately 400,000 families in the United States alone. World Down Syndrome Day helps educate the public on what Down Syndrome is and how to encourage those with Down Syndrome to participate in daily activities so they can live a full life and play a vital role in their community.